Sharon Staley Interiors is a high end interior design firm specializing in residential new build & remodel, hospitality & high end commercial spaces. We are known for restrained elegance in our interiors. Headed by Sharon Staley, FASID, the firm employs several designers of varying skill levels to provide a balanced & focused approach to your project. Services include custom finish specifications for new homes, remodel & renovation; including architectural review, space planning, lighting design, budget analysis & planning. Our company also specializes in custom drapery, roman shades, bedding ensembles, reupholstery and is a complete resource for furniture, fabrics, refinishing, shutters, shades, blinds, fine rugs, wall coverings, accessories & much more. Sharon Staley Interiors is well versed in all styles of interior design, from period design to contemporary & all things in between. There is no project too large or too small. We will work with you to create a home that is uniquely you. Sharon Staley brings over 40 years experience in the industry. Growing up in the business, Sharon’s father was a president of the Furniture Association and owned his own furniture stores in Houston. Sharon carries that same passion for exquisite furnishings today. Sharon has received numerous accolades including ASID Fellow and former ASID TGCC President, several ASID Presidential Citations and ASID design awards. Sharon is a registered Interior Designer in the state of Texas. 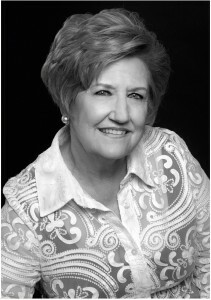 Sharon also a board of Trustee for the Phi Mu Foundation and on the advisory board for the Texas Nature Conservancy.